The kitchen may very well be one of the most important rooms in the home. Not only is it the area where the family meal is prepared, but also a social gathering place where unique bonding occurs. One of the most popular appliances in the kitchen is the range. At Appliance Repair North Plainfield we are well aware of how much your electric or gas range means to you and the success of your daily culinary operation. Our certified technicians are intensely trained and experienced on all types of stoves and ovens. Our work is backed up by a customer satisfaction guarantee, which has made us the most sought after Range Repair in North Plainfield, NJ. Gas appliances are widely used in the home today. We offer outstanding gas range installation and gas range repair. 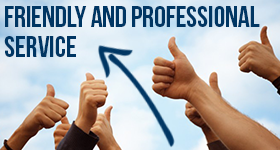 Our technicians respond swiftly and work quickly, but their major objective is always to administer quality results. It is imperative that gas units are hooked up precisely to manufacturer specifications. We are very detail oriented and we check and double check the work we do. Appliance Repair North Plainfield has earned a respected reputation in the community because of our friendly business approach and consistently affordable rates. One of the most common complaints about gas ranges is that the burner will not ignite. We carry plenty of igniters, pilots and valves on our truck to fix these problems. Of course there could be other problems and culprits and our experienced technicians will use amazing troubleshooting skills to detect them in a hurry. We also provide superb electric range repair service. A common problem with electric ranges is that the burners or oven elements will not come on. Our truck is loaded down with quality parts to address these issues. Whether you need oven range repair or glass range repair our skilled specialists will provide the cost efficient solution you need. 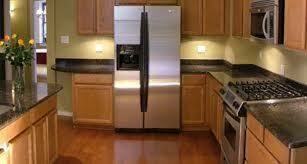 Turn to North Plainfield Appliance Repair for all your range service requirements.